A radical Christian network of missions experimenting for 60+ years in D.C. The Church of the Saviour in Washington, DC is a network of eight independent, ecumenical Christian faith communities and over 40 ministries. All of them grew out of the original Church of the Saviour community founded in the mid-1940s. The current ministries and faith communities are the result of an alternative approach to “church” and church structures which is the hallmark of the Church of the Saviour. 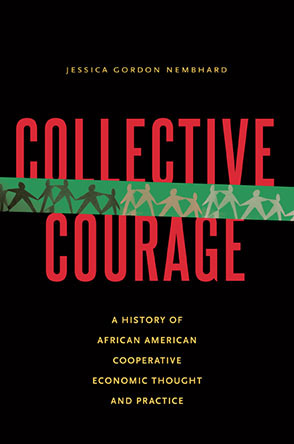 What might happen if people started coming together in small groups, not drawn by their “sameness” but deliberately organized around perceived differences–-of race, economic class, gender, age, sexual orientation, political affiliation, etc.–-and from that point of diversity vulnerably opened their lives, told their stories, unmasked their shared addiction to a societal system that has kept them alienated, and then together began to take steps toward healing and justice? The Church of the Saviour, envisioned by Gordon and Mary Cosby in the early 1940′s, was incorporated in 1947 in Washington, D.C. They and seven others became its first members. From the beginning, church members sought to embody Christ in intentional and sacrificial ways, welcoming radical diversity and calling all to be ministers through the generous sacrifice of time, energy and resources. Today, more than 60 years later, we continue to play with new ways of becoming what we see as “the authentic Church.” The story of one of their major re-inventions is well told in a small book, Servant Leaders, Servant Structures by Elizabeth O’Connor. Interpreting the call to discipleship as the integration of two journeys in community—an inward journey to grow in love of God, self and others and an outward journey to help mend some part of creation—the church became the catalyst for numerous helping ministries primarily in Adams Morgan, a neighborhood two miles north of the White House. In 1994 The Church of the Saviour became a “scattered community” of eight small faith communities. Each of our churches is independently incorporated and seeks to embody its own unique vision, missions and structures, while striving to maintain an “integrity of membership” in the spirit of the founding church. The stories of two of our ministries—the Faith and Money Network and The Potter’s House—are told in this piece. All our community-churches share a membership commitment as well as similar formation processes. These often include participating in a mission group, taking classes in the church’s School of Christian Living, and joining a community in its ongoing life of worship and celebration. Formation for an intern member might last as long as one to three years. Annually, after a period of intentional discernment, all members renew–-or withdraw-–their covenantal membership. Being with others on a deepening inward and outward journey, listening for Spirited callings and creating structures to support and enable the dreams that are given, are at the heart of our tradition. Rather than having set programs or methods, this is an organic model for being Church, seeking always to embody more deeply the essence and nature of Jesus Christ, who brings good news to the poor, release to the captives, recovery of sight to the blind, freedom to the oppressed—proclaiming an era of Jubilee for all God’s family. It is not easy to interpret the structures of the Church of the Saviour because they are the changing part of our life. By structure we mean that group life which provides opportunity for intimate, continuing relationships, enabling us to grow in the life of love and to come to the place where we can effectively stimulate others to love and good works. One of the major “outward” manifestations of the Church is addressing economic issues at all levels of life. We typically talk about our approach to solidarity economics through the lens of Sabbath Economics and/or the biblical Jubilee. Sabbath Economics is the Bible’s alternative economic story, a Christian approach for managing social, family, and personal wealth economics according to their spiritual values. This is the work of one the Church’s ministries. The Faith and Money Network began its work more than 30 years ago. They have run hundreds of workshops, providing time, community and resources for thousands of people of faith to explore their relationship with money from the roots of their spiritual beliefs and values. what is one's invested capital doing—that is, where is it being held? how is it being used? who are we giving that power to? what is one's invested capital doing—that is, how is it being used? are they about, in any way, Sabbath Economics redistribution? Comprised of ordinary people making extraordinary commitments, we structure our churches to nurture intentional relationships and practices to support the journey of faith in Christ. This is the heart of The Church of the Saviour tradition. Each one calls for an “integrity of membership” in that spirit. This means being accountable to one another in small circles called mission groups that make commitments to study, pray and play, give and serve at a particular point of need. Members take classes in the church’s School of Christian Living or the Servant Leadership School, as well as join in the community’s ongoing life of worship, celebration and service. Formation for an intern member might last from one to three years. After a period of discernment, our members annually renew–or withdraw–their covenant membership, deciding whether or not they still are called to this way of journeying with Jesus and his friends. The current structure of The Church of the Saviour is a “scattered community” of small independent churches. Having come from a common family history and vision, the eight churches and other affiliated communities share similar, but not identical, practices and commitments. Each is a unique local expression of the Body of Christ. The first outreach mission of the Church was The Potter’s House, a non-profit café, bookstore, and community space with roots in the Adams Morgan neighborhood of Washington, DC. In a city whose name is synonymous with the plans of the powerful, for over 50 years we have modeled ways in which everyone who walks through our doors is equally valued. We have also continually brought spirituality, social justice, and the arts together. The Potter’s House can perhaps best be described as a long-running experiment in breaking down barriers. Founded by The Church of the Saviour in 1960, we began our life on Columbia Rd. as a beatnik-inspired coffeehouse. Avant-garde art covered our barnwood walls and discussion tables tackled key spiritual and political questions of the day. Defying church convention and easy categorization, our mission was one of presence, service, and dialogue with a world on the move. The Potter’s House has always been about coming together around the things that matter most. We opened our doors as a place for confronting existential questions over coffee. In the years following the riots that swept Washington in the wake of Dr. King’s assassination, the conversations turned towards solidarity with the oppressed and the creation of a new society. Responses to the realities of inner-city poverty were nurtured around our tables, taking root in the Adams Morgan neighborhood and beyond. Today we continue to explore what reconciliation looks like in a rapidly changing city. The Potter’s House has steadily changed as the neighborhood has changed. The urban upheaval of the 1960′s awakened church members more deeply to the world outside our doors. Refusing ‘white flight,’ The Potter’s House began to engage more deeply with its African American neighbors and the Latin American newcomers to Adams Morgan. Out of these relationships grew many of the area’s social justice and direct service organizations: Jubilee Housing, Jubilee Jobs, and Columbia Road Health Services, just to name a few. Our story is still being written as a place where people from all different walks of life can share their gifts, swap ideas, and become friends. In the midst of a still rapidly changing DC, we want to sustain a space that nurtures the roots of another city, one marked by community and created through mutuality. To do this we are now finishing an extensive renovation. When we re-open in 2014, our cafe will have a whole new style. While remaining affordable and accessible, we will have an increased focus on the health of our bodies and the food system as a whole. We are working to develop a seasonally rotating menu that is sourced from local farmers and producers. Everything is still in the works, but you can expect sandwiches, salads, soups and sides with a Southern accent. We will be sourcing direct trade beans for our coffee program. In addition to being a café we are an independent bookstore with a special emphasis on spirituality, social issues, and cultural studies. Our curated collection also includes a selection of literature, poetry, and children’s books. When we return in 2014, we will have regular author events and reading groups, a selection of handmade gifts and cards, and an IndieBound online bookstore complete with e-books, essential reading lists, and reviews. When we return, our community room will host a variety of programming, from film screenings to issues forums to cultural performances. It will also provide worship space for several Church of the Saviour faith communities and meeting space for social justice organizations.